ENGAGE YOUR WARPED SENSE OF HUMOR WITH HUNDREDS OF PRACTICAL GAG DEVICES YOU BUILD YOURSELF! Give your friends and family the shock of their lives! 51 High-Tech Practical Jokes for the Evil Genius has everything you need to pull devastatingly funny (and safe!) technical pranks. An ideal resource for anyone seeking a fundamental knowledge of AC theory. Designed to provide readers with a thorough introduction to Alternating Current electrical characteristics and circuit construction, AC THEORY, 3rd edition explores the complexities of this more advanced circuit theory by building on the basics established in Direct Current (DC) Theory. The fast and easy way to get up-to-speed on alternative energy! This practical guide eases you into this field of science, starting at primitive heating sources such as coal and wood. As you progress, you will master the science behind alternative energies such as evaporative cooling, fuel-cell vehicles, aeroelectric power, and more. THE "ELECTRICIAN's BIBLE" SINCE 1913 ! For 100 years, the American Electricians' Handbook has served as the definitive industry reference for information on designing, installing, operating, and maintaining electrical systems and equipment. The Sixteenth Edition is revised to comply with the 2011 National Electrical Code and the 2012 National Electrical Safety Code, and covers current energy-efficient technologies, such as photovoltaics and induction lighting. Do you know where electricity comes from? To be able to say yes to that question, you must understand a bit about the physics of matter. What value does a brief study of the nature of matter have for the student of electrical theory? The understanding that comes from that study lays the foundation for understanding electrical theory. Only when you know the theory can you truly have confidence in the practical aspects of your electrical work. This all new 368-page 4-color illustrated textbook and workbook provides hundreds of detailed examples, practice questions, practice exams, summaries, introductions and conclusions. The understanding that comes from that study lays the foundation for understanding electrical theory. Only when you know the theory can you truly have confidence in the practical aspects of your electrical work. This all new 300-plus page illustrated textbook and workbook provides hundreds of detailed examples, practice questions, practice exams, summaries, introductions and conclusions. No matter what electrical theory book you are using, THE COMPLETE LABORATORY MANUAL FOR ELECTRICITY offers the perfect fit with a logical progression of topicsand meaningful, cost-effective experiments. Each lab offers a clear explanation of the circuits to be connected, examples of the calculations to complete the exercise, and step-by-step procedures for conducting the experiment. Combine comprehensive coverage of basic electrical theory with practical "how to" information to prepare students for real practice with DELMAR'S STANDARD TEXTBOOK OF ELECTRICITY, 7E by Stephen Herman. 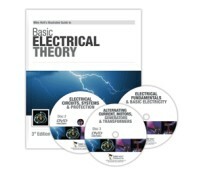 This edition covers all aspects of basic theory with no assumption of prior electrical knowledge. The author also limits math to basic algebra and trigonometry with step-by-step examples. Quality schematics and illustrations guide students through basic electrical circuits; DC and AC theory; and equipment such as meters, transformers and motors. Numerous examples demonstrate how to complete common tasks electricians perform, while succinct units cover only one or two topics each to ensure clarity. Author Mark N. Shapiro has created this quick reference guide especially for those involved in the construction, inspection, cabling, and testing of Datacom systems. With its informative do’s and don’ts, helpful tips, symbol explanations, clear illustrations, Code clarifications, tables and diagrams, and extensive glossary all in a color-coded, tabbed format, the Datacom reference guide is relied upon by data communications professionals throughout the country.. The Dr. Watts 2014 Pocket Electrical Guide is UPDATED to reflect the 2014 National Electrical Code. Containing the latest NEC tables, formulas, illustrations and detailed examples, this an indispensable reference for anyone working with electricity. This shirt-pocket guide is loaded with essential information for everyday reference; it’s heavy laminated pages and built-in tabs make it sturdy and durable. Act now to ensure you’re prepared with the most comprehensive information about electrical safety in the new 2014 Dr. Watts Pocket Electrical Guide. The book compiles the most commonly used formulas and simplifies them, using a step-by-step approach and practical, real-world examples. Topics range from Ohm's Law and power formulas to areas of conduit and conduit fill. Stresses practical, applicable content by focusing on over 100 of the most commonly used electrical formulas. Packed with real-world examples, vivid illustrations, and the latest developments from the field. This reader-friendly book begins with an overview of basic electricity concepts rather than introducing complex mathematical calculations. An ideal choice for anyone interested in mastering basic electricity, house wiring, or commercial installations. 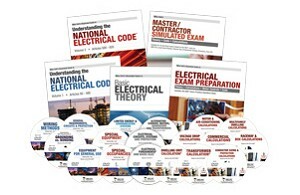 ELECTRICITY 2: DEVICES, CIRCUITS AND MATERIALS, Tenth Edition, maintains the user-friendly style and proven instructional approach while incorporating new material and updates based on the 2011 National Electrical Code®. An ideal choice for anyone interested in mastering basic electricity, including AC power, wiring installation, lighting, and effective troubleshooting. ELECTRICITY 3: POWER GENERATION AND DELIVERY, 10E explores various types of generators and the delivery of single phase and three-phase power to the customer site. Its thorough coverage of power generation and delivery includes stopics such as DC generators, polyphase circuits, three-phase wye and delta connections, electrical characteristics of three-phase alternators, alternative power sources, transformers, and more. ELECTRICITY 4: AC/DC MOTORS, CONTROLS, AND MAINTENANCE, 10E delivers practical coverage of AC/DC motors, controls, and maintenance. It offers students quick and easy access to current information on DC motors, AC motors, motor control, electromechanical and solid-state relays and timers, synchronous motors, installation, sensyn units, motor maintenance, and more. Electricity and Electronics for HVAC provides an expert account of the electric and electronic components used for modern air conditioning, heating, and refrigeration systems. Packed with hundreds of detailed illustrations, this in-depth reference fully explains circuits, diagrams, digital controls, safety procedures, troubleshooting, and more. Master the Electric and Electronic Components that Control Today's Air Conditioning, Heating, and Refrigeration Systems! Master the basic electrical principles necessary to understand today’s modern control systems with ELECTRICITY FOR REFRIGERATION, HEATING, AND AIR CONDITIONING, 10th edition. With its meticulous accuracy and easy-to-understand presentation, the book takes a practical approach that allows you to focus exclusively on the electronics information you will use in the field, without bogging you down in unnecessary theory. This edition continues to emphasize systematic diagnosis and troubleshooting methods and procedures that will help you become a highly-skilled, professional HVAC-R service technician. Electricity Experiments You Can Do At Home is a hands-on guide that helps you master the principles of electrical currents and magnetism. Each of the book's three sections--direct current, alternating current, and magnetism--begins with step-by-step instructions for setting up your lab for the experiments that follow. Using inexpensive, easy-to-find parts, the experiments progress from basic to more complex and will spark ideas and encourage inventiveness. INEXPENSIVE PROJECTS YOU CAN BUILD! This books gives the “evil genius” loads of projects to delve into, from an ultrasonic microphone, to a body heat detector, and all the way to a Star Wars Light Saber. This book makes creating these devices fun, inexpensive, and easy. This much anticipated follow-up to the wildly popular cult classic Electronic Gadgets for the Evil Genius gives basement experimenters 40 all-new projects to tinker with. Following the tried-and-true Evil Genius Series format, each project includes a detailed list of materials, sources for parts, schematics, documentation, and lots of clear, well-illustrated instructions for easy assembly. In this hands-on guide, a lifelong electronics repair guru shares his tested techniques and invaluable insights. How to Diagnose and Fix Everything Electronic shows you how to repair and extend the life of all kinds of solid-state devices, from modern digital gadgetry to cherished analog products of yesteryear. You'll start by selecting the tools and test equipment you'll need and setting up your workbench. Then, you'll get familiar with components and how they form circuits, stages, and sections of a device. INDUSTRIAL ELECTRICITY, 9E is the ideal book to help electrical students, as well as maintenance technicians, master the fundamentals of electrical theory as they pertain to the field of industrial electricity. INDUSTRIAL ELECTRICITY, Ninth Edition, presents the essentials of electrical theory in a clear, current, logical manner to help you master both fundamental concepts and more advanced subjects relevant to the field of industrial electricity. Coverage begins with foundational topics like electrical symbols and drawings, current, voltage, resistance, and power, while subsequent chapters introduce Ohm’s Law; series, parallel, and combination circuits; and resistive and reactive circuits. This practical resource offers comprehensive coverage of the entire electrical field and its equipment, including troubleshooting and repair. You'll learn how to read and interpret schematics and drawings and safely work with all electrical components and systems on the jobsite. The Second Edition features a new chapter on robotics, a new 16-page color insert, and information on the latest codes, regulations, and devices. Making Everyday Electronics Work: A Do-It-Yourself Guide explains how electricity works and shows you how to take care of the electronics and electrical systems around your house. Save time and money by doing your own electrical diagnostics with help from this practical resource! Learn how to measure electrical current strength, test for electromagnetic interference, and trace failures in circuits. Using step-by-step photos as often as possible to convey important tasks, this book will train the residential facilities handyman in all the responsibilities of the job! A refreshingly easy-to-read writing style and a straightforward approach to maintenance, repair, and replacement within residential facilities combine to communicate common maintenance tasks in the areas of carpentry, wiring, groundskeeping, appliance repair, plumbing, and HVAC. Safety for each task is addressed, as well as important employability skills for success on the job. Photovoltaic Systems is a comprehensive guide to the design, installation, and evaluation of residential and commercial photovoltaic (PV) systems. The textbook covers the principles of photovoltaics and how to effectively incorporate PV systems into stand-alone or interconnected electrical systems. The content includes system advantages and disadvantages, site evaluation, component operation, system design and sizing, and installation requirements and recommended practices. Improving your skills in electrical grounding and bonding has never been easier! Soares Grounding & Bonding cuts through the confusion of industry jargon and common misconceptions and guides the reader step-by-step through the language and intent of the National Electrical Code, NEC-2014. Check out the explanations for the new code rules in Soares Grounding & Bonding first, where the text is easy-to-read and easy-to-understand. In Solar Energy Projects for the Evil Genius, high-tech guru Gavin Harper gives you everything you need to build more than 50 thrilling solar energy projects. You'll find complete, easy-to-follow plans, with clear diagrams and schematics, so you know exactly what's involved before you begin. SCHAUM'S OUTLINES: OVER 40 MILLION SOLD! Compatible with any classroom text, Schaum's let you study at your own pace and remind you of all the important facts you need to remember--fast! Each year, hundreds of thousands of students improve their test scores and final grades with these indispensable study guides. Solid State Devices and Systems, 4th Edition, presents a comprehensive overview of solid state devices and circuitry. This new edition is designed for electricians, students, and technicians who have a basic understanding of electricity. Component and circuit construction, operation, installation, and troubleshooting are emphasized and supported by detailed illustrations. New and expanded topics include test instruments, printed circuit board construction, soldering and desoldering, power sources and renewable energy, photonics, digital electronics, and solid state technology in programmable controllers. Amp up your knowledge of electronics by deconstructing common devices and analyzing the revealed components and circuitry. Teardowns: Learn How Electronics Work by Taking Them Apart contains 14 projects that expose the inner workings of household appliances, workbench measuring instruments, and musical equipment. Discover how resistors, capacitors, sensors, transducers, and transistors function in real circuitry. A 'must-have' Electrical Reference for anyone that does Electrical Work - keep one in the Office and one on the Truck! Electrical Formulas, Conversion Tables, Symbols, Charts, Wiring Diagrams, Conduit Bending and more. All in an easy to read format. Ugly's Electrical References book is a popular pocket-sized book used by electricians, engineers, contractors, designers, maintenance workers, instructors, and the military. Visit: ECN Electrical Forum - the Longest Operating Electrical Forum on the 'Net!